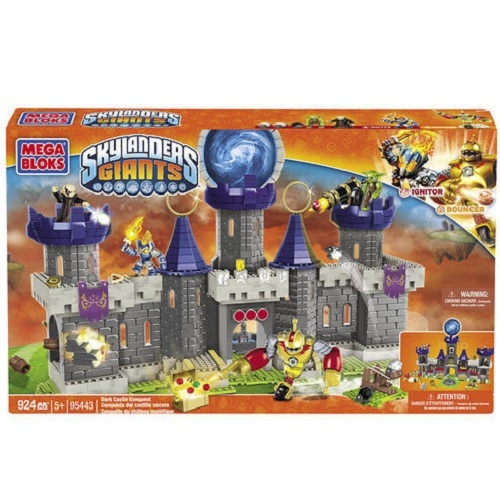 Product Detail Summary: Bring order to Kaos with the buildable Dark Castle Conquest by Mega Bloks Skylanders GiantsTM! Atop the Dark Castle hides the dark Portal Master Kaos and his most trusted minion, Glumshanks, in his rotating secret chamber. Ignitor and Bouncer team up scale the fortress, but they must overcome many obstacles like the collapsing wall, tumbling barrels, and the falling ramp. You can also fire the Sheep through the castle rings and discover the many other cool features! Ideal for children 5 and up.